Will Sarna and Ragi Summon Sharabi-Kababi Sarbat-Khalsa? New Delhi – The pseudo-Khalistanis and Kala-Afghanis who have openly challenged the HukamNama issued by Sri Akal Takht Sahib on the ex-communication of the heretic Ragi Darshan Sinh, have now made passionate pleas to Delhi Sikh Gurdwara Management Committee (DSGMC) president Paramjit Sarna to quickly announce a so-called Sarbat Khalsa (World Sikh Convention) in Delhi soon. Sarna, who not too long ago received siropas from the Rashtriya Swayamsevak Sangh (RSS) and traveled with them to Pakistan, seems eager to satisfy many of these self-styled Khalistanis who themselves have been intertwined with the demised RSS stooge, Rulda Singh in the recent past. If such a convention is held, it will most likely be held at the Lakhi Shah Vanjara Hall in the Rakabganj Gurdwara Sahib complex, most likely under “aegis” of ex-communicated heretic Ragi Darshan Sinh. Recently, the Proud Khalsa Network published videos and photos uncovering despicable evidence of beadbi on the sacred premises of Gurdwara RakabGanj Sahib at the Lakhi Shah Vanjara Hall. Gurdwara Rakab Ganj Sahib is the site of Lakhi Shah Vanjara home that was burnt to cremate the body of the Guru Teg Bahadur Sahib Ji after martyrdom. The images show discarded cigarettes, chicken meat, egg shells, and alcohol glasses among other garbage left by wedding guests in and around the sacred Palki where Guru Granth Sahib Ji's Parkash is done in the large divan hall. Perhaps it is befitting that person like Ragi Darshan will be in charge of this convention, since he has a history of violating Sikh Maryada and is often referred to as a "ਸ਼ਰਾਬੀ-ਕਬਾਬੀ ਜਥੇਦਾਰ" due to such transgressions. 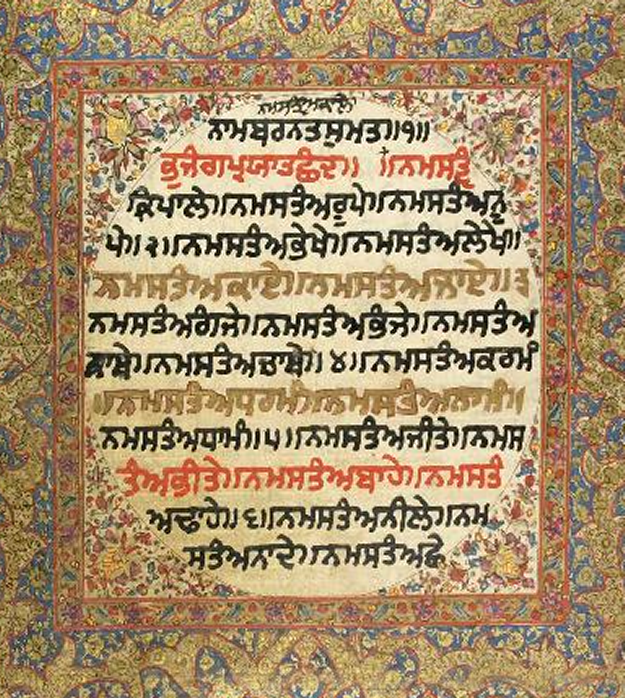 In the past, Panthic.org has published more than half-dozen cases evidencing beadbi of the sacred Saroops of Guru Granth Sahib Ji and the sacred Gurdwara premises by DSGMC/Sarna lobby along with their collusion with anti-Panthic elements such as the RSS and the honoring of Lala Jagat Narain and Ramesh Chander and their families. Interestingly, as in the past, these pseudo-Khalistanis are again staying silent as this type of beadbi continues at the Delhi Gurdwaras managed by their associate, Paramjit Sarna. Perhaps their silence is a clue about their true intentions. Most of these pseudo-Khalistanis could care less about the beadbi of Guru Granth Sahib Ji’s saroops and the serving of meat and alcohol in Gurdwara premises. Their main aim is entirely different. Several years ago some of the pseudo-Khalistanis who are now promoting Sarna were being placated by the RSS via Rulda Singh under the promise that they would no longer be “black-listed” by the Indian Government and they would be able to travel back and forth to India freely without harassment. After Rulda’s untimely death, Sarna seems to have picked up on the assignment of placating these self-styled Panthic patriots and is reportedly offering the same deals to them - namely the removal of their named from the official GOI “blacklist” and freedom to travel back and forth to India – the country they had once sworn allegiance against. The planned World Sikh Convention or so-called Sarbat Khalsa, seems to be nothing more than a ploy to bring these disgraced ex-Khalistanis back on Indian soil so they may again recognize the Indian Constitution they at once condemned and rejected. Even stalwart Khalistanis such as Zaffarwal, Chohaun and Daljit Singh Bittu have fell into this trap, only to be ignored and discarded at the end. The pseudo-Khalistanis, who are crying bloody murder over the ex-communication of the Ragi, are conveniently silent about Ragi’s condemnation of Nitnem, Amrit Banis, and the Sikh Ardaas, and other blasphemous statements against the Bani of Guru Gobind Singh Ji. Self-styled leaders who are not even willing to defend an attack on the foundations of Sikhi, and are actually joining ranks with those who have sworn to destroy them, have no right to dictate anything to the Khalsa Panth. Rather, their so-called “Sarbat Khalsa” will be recognized as the convention of traitors and turncoats. Most of them have already backtracked from the Anandpur Sahib Resolutions, and the 1986 Sarbat Khalsa resolution for Khalistan. Respect for Sri Guru Granth Sahib Ji was the primary issue on Vaiskahi 1978 when 13 GurSikhs were killed protesting Guru Sahib’s beadbi by the pseudo-Nirankaris – their sacrifice for Sri Guru Granth Sahib Ji’s respect was the key catalyst that transformed that small protest into a Dharam Yudh Morcha and the recent Sikh struggle that ended with the military assault on Sri Darbar Sahib, Sri Akal Takht Sahib, and other revered Sikh institutions, and the genocide of hundreds of thousands of Sikh youths across India. These politicians are shamelessly reaping the profits from the sacrifices of the true Panthic Shaheeds are now promoting the same evil personalities and institutions those great Shaheeds fought against. Down with Sarna and his politics. He is many times a Congress stooge but is still seen along side the RSS. In opposition supporters will point fingers at the other traitor and ally of the BJP/RSS Parkash Badal. But both of these wrongers dont make a right. Down with Badal and Sarna both! Congratulations for writing such a revealing piece...Very clear and articulate. Shame on Sarna, backer of Guru Nindak ragi darshan. This is the type of Sikhi they will preach after they take over Akal takhat. They are after money. Sikhi is of no importance to them. As per M S Bitta, the dress resembling Guru Gobind Singh Ji's dress worn by Sarse wala, was ordered by Sarna himself from Gopal Sons tailor near Punjabi Bagh. Omg if we are to go on the Delhi dsmgc website we can see all the politics going on in the 'About Us' 'President's Message' section videos. It is a disgrace what these people will do for politics. We can see former Singh Sahib Jathedar Joginder Singh Ji Vedanti alongside Professor Darshan Ragi! They are at a press conference with Paramjit Sarna for the Nanakshahi calendar. We can see a lot of other political press-conferences. Paji this people can sell their mom dad 4 money so what is Guru ji 4 them. Akal Takhat sahib should take action against this kutta SARNA. Do the SAD (B) not doing such things, frequently coming in news. Some things seems to be framed only for revenge being opposite group. Though it is good to point out such things, but it would be better if things might have been brought out in broad way i.e. not of Sarna side but also of Makkar side. Makkar and party has destroyed sikh traditions totally. It will be an honest thing if Makkar kirdaar is brought out. what he is doing in Punjab, everybody knows.